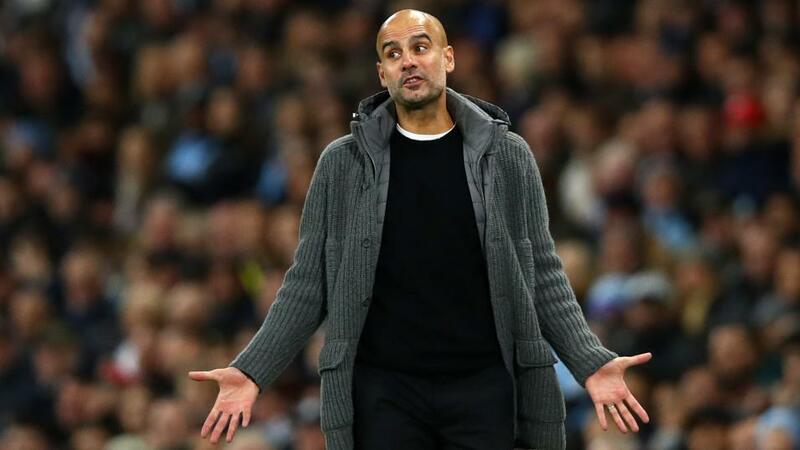 Will Pep Guardiola have the answers when Manchester City host Watford? The Premier League leaders Manchester City can extend the gap at the top with a win over Watford. Opta rates their chances. "Man City have won 42 of the 45 points available to them in home games this season (W14 D0 L1), losing only against Crystal Palace in December." The home side are [2.1] to win both halves. Man City have never lost a Premier League game against Watford (W7 D2), winning the last seven in a row by an aggregate score of 22-3. They are [1.17] to win. In all competitions, Watford have lost their last nine meetings with Manchester City. They've only ever lost more consecutively against an opponent vs Man Utd (11 between 1987 and 2016). Manchester City are [1.57] to win half-time/full-time. Watford have lost 10 of their 11 away league matches against the reigning top-flight champions, drawing the other in December 2015 against Chelsea. The draw half-time/Manchester City full-time double result is [5.0]. Manchester City have won nine of their last 10 Premier League games (L1), and are on the longest current winning run in the competition (5 games). They are [1.95] to win to nil. Man City have won 42 of the 45 points available to them in home games this season (W14 D0 L1), losing only against Crystal Palace in December. The home side are [2.1] to win both halves. Watford have won three of their last four Premier League games (L1), as many as they had in their previous 15 (W3 D6 L6). The Hornets are [22.0] to claim a shock victory. Watford have lost all nine of their Premier League games against sides starting the day top, scoring eight goals and conceding 26. A Manchester City win and both teams to score is [2.6]. Man City striker Sergio Aguero has scored 10 goals in six appearances against Watford in all competitions, including netting two hat-tricks against the Hornets. Aguero is [1.62] to score. Sergio Aguero has scored 96 Premier League goals for Man City at the Etihad. One more will see him level Alan Shearer in third for most goals at a specific venue in the competition (97 at St James' Park). Only Thierry Henry (114 at Highbury) and Wayne Rooney (101 at Old Trafford) have scored more. Aguero is [3.8] to score the first goal. Only Man City's Sergio Aguero (10) has been directly involved in more Premier League goals in 2019 than Watford's Troy Deeney (5 goals, 3 assists). The Hornets captain has been involved in as many Premier League goals in nine games this calendar year as he was in 33 games in 2018 (6 goals, 2 assists. Deeney is [5.5] to add to his goal tally.